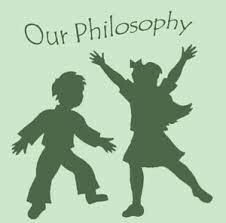 Green Avenue School philosophy revolves around how we value our students energy, minds, and creativity which grows every day, making our commitment to their playing needs as well as their educational needs a priority. We have a wide range of academic structured activities as well as those which allow our little ones hands on opportunities during their precious first formal school experience. Our creative curriculum allows teachers to introduce and expand on language arts, math, shapes, colors, phonics, social studies, science, fun food lessons, monthly themes, physical education, music, and various holidays. Everthing in english language! Our students get to utilize their energy in multiple creative classes like music, gymnastics, and art&craft. We offer a hands-on approach and individualization of each and every child. Social and emotional development start during these years, and while learning, everyone grows into their own and becomes prepared for their elementary school years.